Drake's beard is so completely epic, that Nicki's wondering what she was thinking choosing Meek. 6. 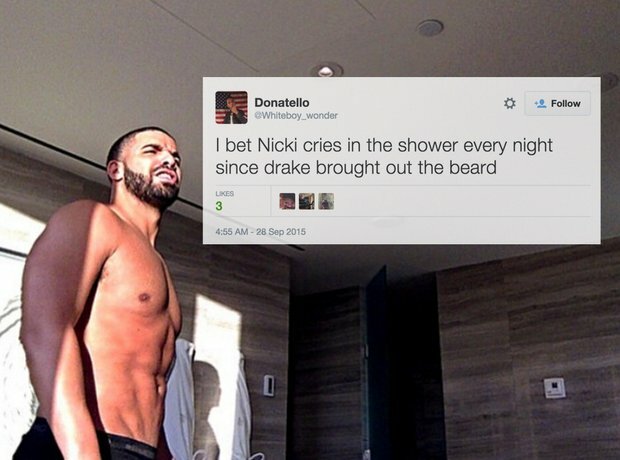 Drake's beard is so completely epic, that Nicki's wondering what she was thinking choosing Meek.